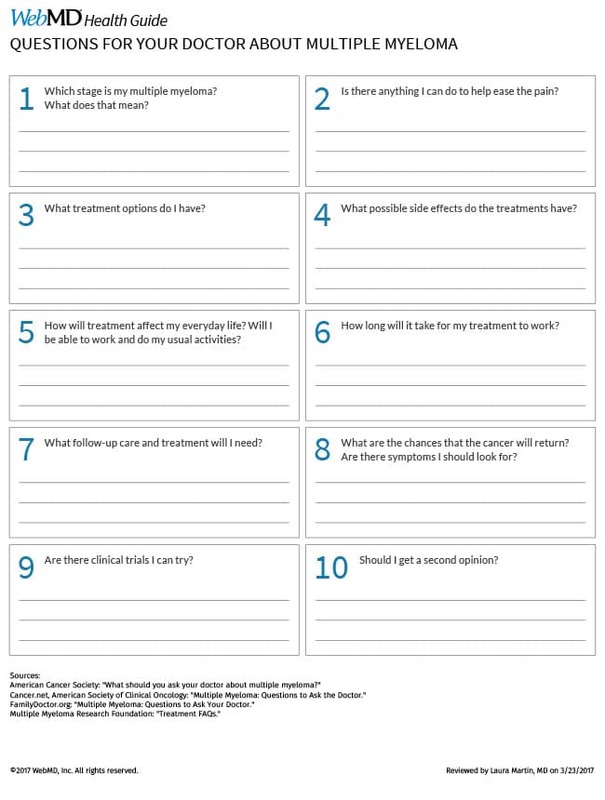 Stumped about what to ask your doctor about your multiple myeloma treatment? Here are some ideas. American Cancer Society: "What should you ask your doctor about multiple myeloma?" Cancer.net, American Society of Clinical Oncology: "Multiple Myeloma: Questions to Ask the Doctor." FamilyDoctor.org: "Multiple Myeloma: Questions to Ask Your Doctor." Multiple Myeloma Research Foundation: "Treatment FAQs."